The McClain FFA officer team recently worked countless hours in order to complete the National Chapter Packet. The application consists of a description of nine of chapter’s events, three goals for each event, and a plan of action to reach each goal. The nine events must also correspond with growing leaders, strengthening agriculture and building communities. 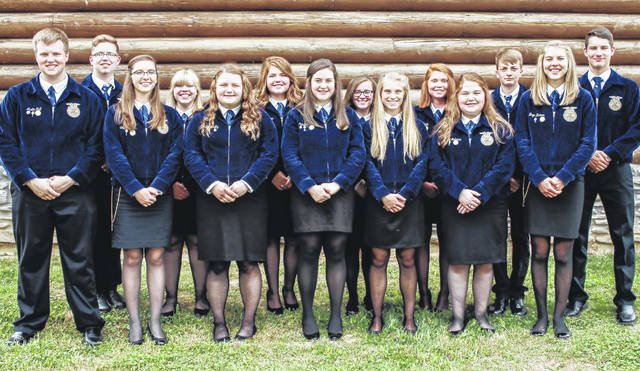 There are 315 FFA chapters in the state of Ohio and only 24 of them received a gold rating. This was a goal that the officers set at an officer retreat last summer. Pictured is the McClain FFA officer team.